Spring is in full bloom and so is the North American luxury housing market. According to the Institute’s monthly luxury market report, the housing market was predicted to, at best, level off. Surprisingly, the month of March far surpassed the mediocre predictions and showed significant increase, pushing the housing market into the busiest time of the year with a full head of steam. March’s luxury single-family market saw a 17% increase in new listings and a 55% increase in sales over February 2018. Luxury home prices continued to remain relatively stable — with listing prices only seeing a marginal rise of less than 1.5%. The significant sales volume increase can merely be attributed to some or all of these influences: a luxury market that recognized the value of on-going price stability, an increase in the volume of lower-valued luxury homes for sale and/or a decrease in the number of overpriced properties. As the busy season in the housing market approaches, the Institute will continue to keep a close eye on the trends and numbers in all regions. Apart from an increase in numbers, there was also a shift from buyer’s markets to a balanced or seller’s markets. In March, there were 12 balanced and 12 seller’s single-family markets, compared to just 5 balanced and 6 seller’s markets in February 2018. This should prove to be a more beneficial time for sellers and help to continue to increase the turnover rate in the individual markets. 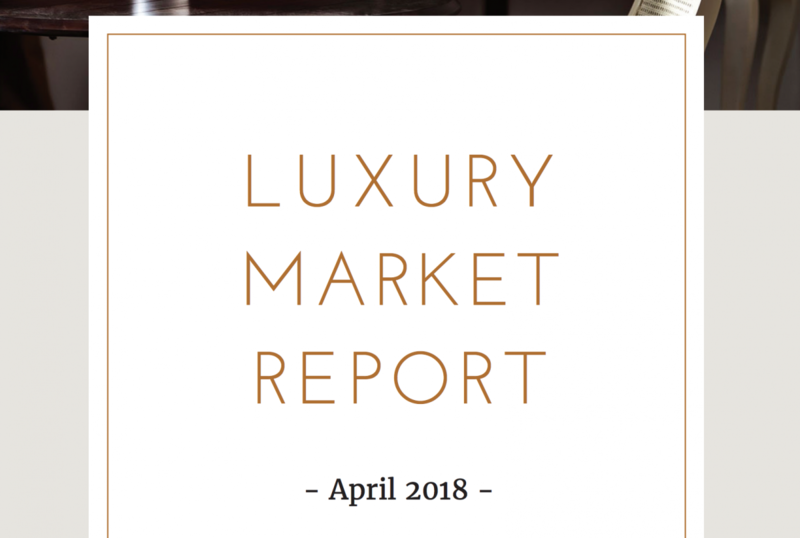 For a full review of the last month’s numbers and the predicted trends, check out the detailed luxury market report here.